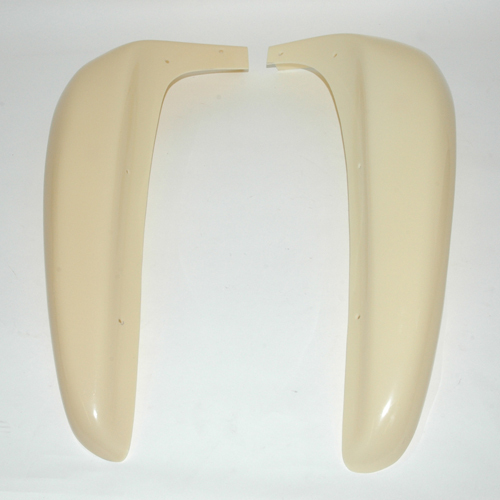 GEM Car Mud Guards, also known as fenders. Fits most models 1999 - 2012. Some early builds used smaller Mud Guards (1999-2002). Check your fit before painting. Ready to paint. Set of 2 (1 Left & 1 Right). Pre-drilled mounting holes. Original GEM part number was 0105-005xx with the last two digits representing the color.